Selina Kyle, also known as Catwoman, is a fictional character associated with DC Comics' Batman franchise and created by Bill Finger and Bob Kane. 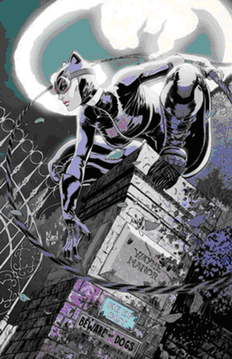 Currently potrayed as an orphan who learned to survive on Gotham City's streets, Selina took to thievery to survive... but determined to do it in style, she learned martial arts and trained extensively to perfect her skills in cat burglary. Her criminal activities are often tempered by a reluctant altruism, making her an inconstant villain and occasional ally to Batman. She regularly eludes capture by the Dark Knight and maintains a complicated, adversarial relationship with Batman that frequently turns flirtatious and occasionally, legitimately romantic. She's one of Batman's best known loves. Her main crime is only thievery, as killing is against her own moral code thus making her more of an anti-hero rather than true villain and she currently only steals from gangsters and mobsters. 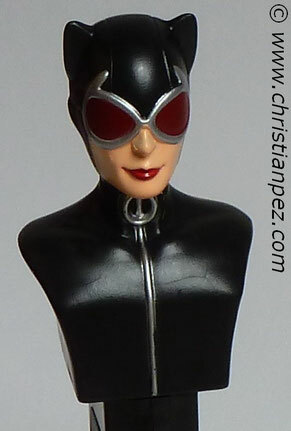 She is one of Batman's most trusted allies at the moment.